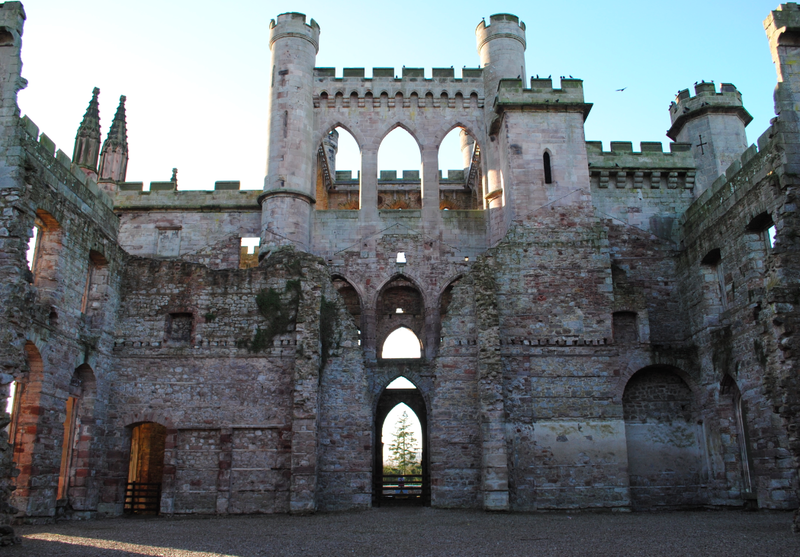 Built on the site of a medieval hall is the imposing country house ruin of Lowther Castle. Constructed of calciferous sandstone ashlar, the Castle was the design of the English architect Sir Robert Smirke. Lowther was built between 1806 and 1814 and designed as a majestic castle viewed from the outside and a luxurious contemporary home on the inside. Lowther Castle is positioned 800 feet above sea level between barrows and earth mounds which date to the time Neolithic people roamed the area and are 5000 years old. Iron Age settlements from 2000 years later have been found and deep below the Castle, an old river still courses. Vikings inhabited the lands at Lowther and legend has it that in 925AD, a Viking named Dolfin stayed by the river and named it lowth-a which translates as ‘foaming water’. 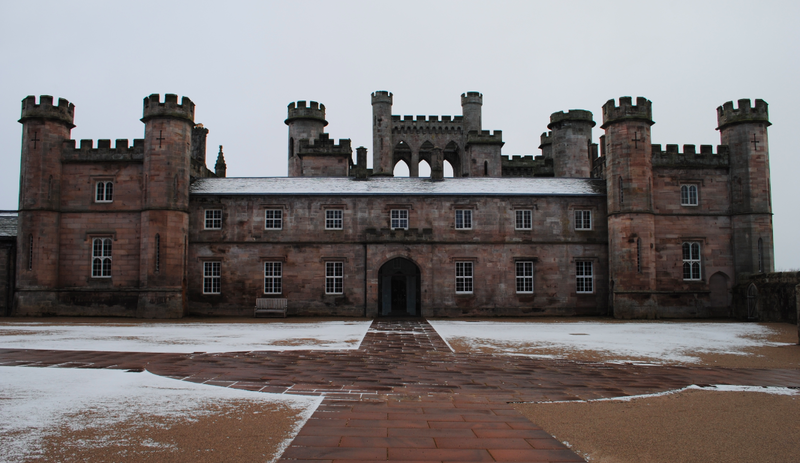 Lowther was the seat of the Lowther family from the 12th century and defending their lands during the Middle Ages, Lowther knights fought Scottish armies. By 1300, the head of the family went into battle carrying a shield painted yellow with six black rings (annulets). Although the Lowther coat of arms has evolved with successive generations, the annulets remain dominant in the family estate. The Lowthers were a prominent family in Westmorland from the 13th century. 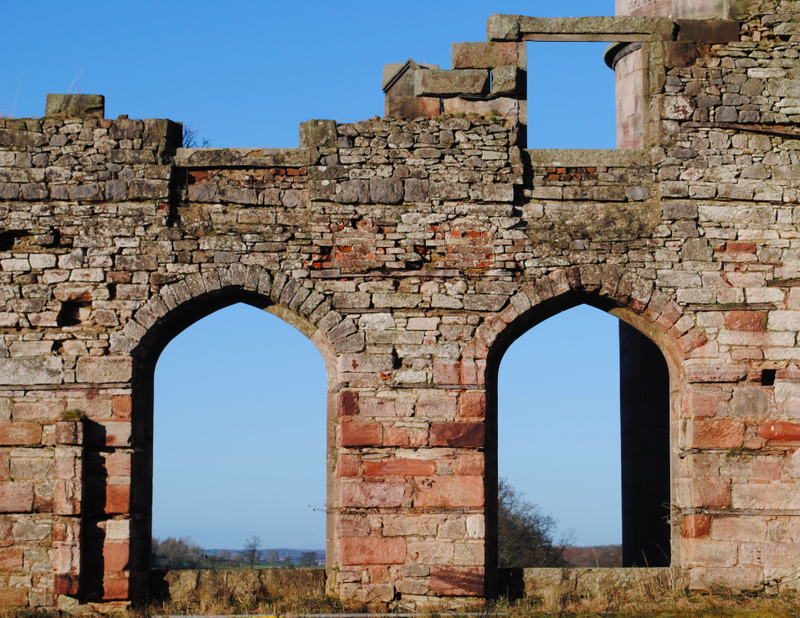 Generations of the Lowther family made their mark on the landscape over the next 400 years. A symmetrical country house was built by Sir John Lowther early in the 17th century which was later rebuilt by John, Viscount of Lonsdale. John commissioned a great Baroque house and a massive series of formal gardens were created around 1700 in the symmetrical style of the French Baroque. William, Earl of Lonsdale, was a Tory politician, nobleman and coal magnate who was made Knight of the Garter in 1807. It is this Earl of Lonsdale who commissioned Smirke to build the Castle we see remaining today. Following the death of his father in 1949, the 7th Earl Lord Lonsdale inherited the abandoned castle in 1953 with considerably large amounts of debt. With the castle a financial drain, the 7th Earl tried to find a buyer for the castle. Faced with no alternative, the Earl had the roof removed to avoid paying rates on the property. 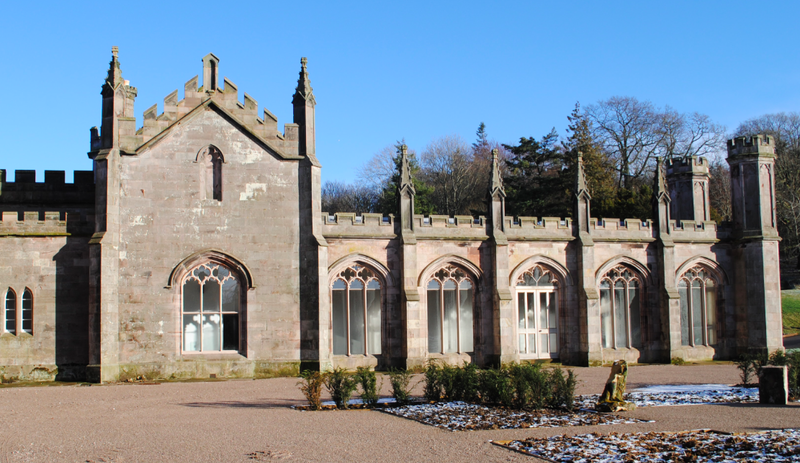 In 2008 a charitable trust was formed to rescue Lowther from neglect. The Trust secured funding in 2009 with the desire to create a contemporary overlay on the historical gardens. The Castle and Stable Courtyard were condemned as unsafe and effectively had to be deconstructed before restoration could begin. Additional structural steel has been inserted into some of the more unstable elevations to reduce the risk of collapse with Wattscliffe Lilac sandstone (quarried in Derbyshire) used to provide new stone. 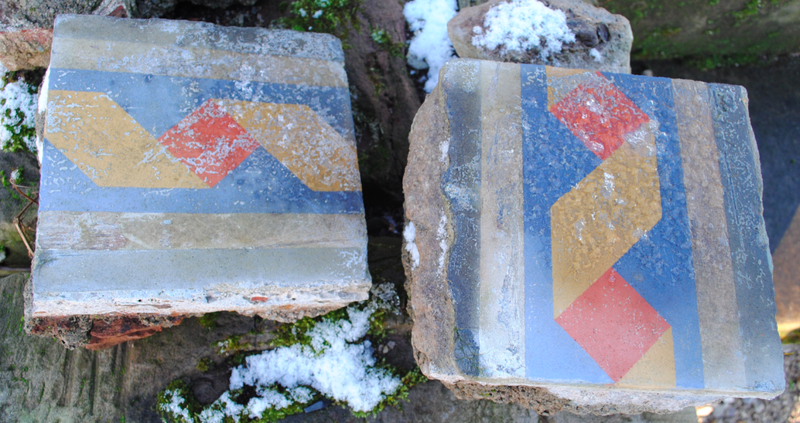 Beautifully decorated tiles were uncovered on the Winter Garden floor in 2013 having been covered in moss and elder for decades. Research is currently underway to establish the best way of preserving the tiles for future generations. 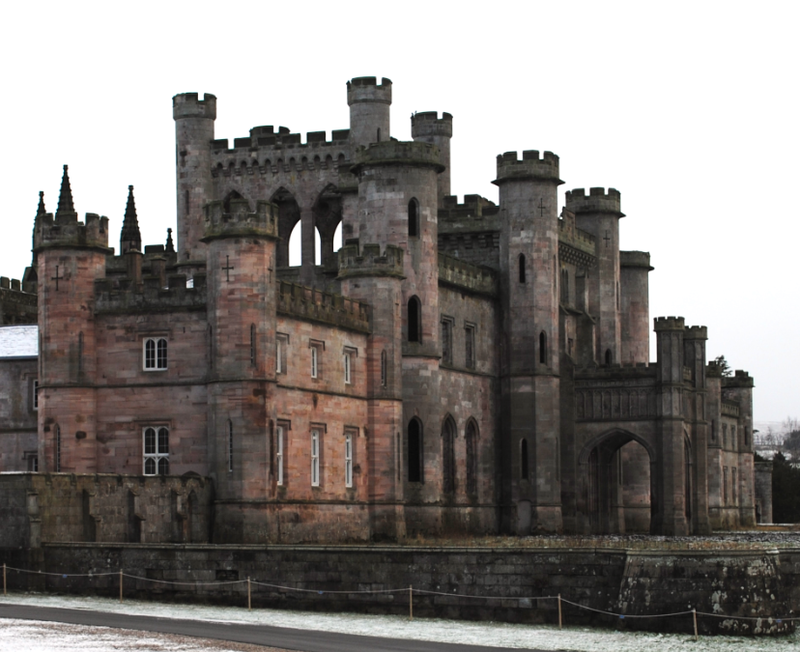 Lowther Castle is Grade II* Listed.